Beginning today, there will be 35 Division 1 Football Bowl Subdivision Bowl games in 16 days as the 2013-2014 College Football season ends with a flourish. All the games are more or less set up to match similarly talented teams, giving analysts a field day in their predictions. Much like March Madness, experts and novices alike love to fill out their bowl picks, compare, contrast, cheer for teams they've never cheered for before, and maybe gamble a little money in the process. Well if it's gambling, then J.R. Ewing (that's me) has you covered. Here we look at six major factors that don't usually figure into picking regular season games, analyze the BCS Championship Game in Pasadena, then go into a Top 5 "Best Bets." Remembering that this year is the before a four-team playoff begins next season. 1. How did we end up here? When the dust settles and bowl invitations are distributed, there's always a few teams excited at the opportunity, and more than a few who didn't want to be there. Whether they lost a game they shouldn't have, or to a rival, or just got a raw deal, this factors into teams' performance. Three teams that immediately come to mind in the latter category are the Ohio State Buckeyes, Alabama Crimson Tide, and Oregon Ducks. Ohio State was 60 minutes and a slight favorite to win the Big 10 Championship, but was upset in the title game by a tough Michigan State Spartans squad. Interestingly, Michigan State was probably Pasadena-bound (Rose Bowl) win or lose, But they won if nothing else to spoil their rivals hopes of a BCS Title game shot (Conference Title games are still a good idea, right)? Now the Buckeyes are headed to the Orange Bowl in Miami instead to face a hungry Clemson Tigers team who just two years ago were humiliated in this same venue when they lost to West Virginia giving up 70 points. On top of that, this is the first Ohio State loss in two years and the first under Urban Meyer. Will they come out hungry? I think not. Despite being a two - three point favorite, I go with the Tigers (+115) straight up. Alabama likewise were playing for their own fate to punch their ticket to Pasadena. In fact, the were just an overtime away from an SEC title game berth as they saw their hopes slip away on that improbable 100+ yard field goal attempt return derail their push, this time, with no recovery with one-loss as in the past two years. Now at home and stewing, how will they respond to a plain old Sugar Bowl berth against the Oklahoma Sooners? Nick Saban has consistently coached this team to success after losses, twice to win National Championships after the season settled out. Saban gets his teams attention after losses. I look for the Tide to bounce back behind A.J. McCarron and easily cover the 15 points spread. The biggest obstacle experts thought might keep Oregon from the BCS Championship Game were if there were too many undefeated teams. Oregon should have kept their heads down and taken care of their own business, but suffered two defeats to the eventual Pac 12 Title game participants. They looked attractive as a potential BCS at-large, but fell all the way to the Alamo Bowl in San Antonio to play an unranked (and lame duck coach, no pun intended) team in the Texas Longhorns. How excited are they going to be after playing in the BCS for four straight seasons? I'm not sure, nor am I sure how Texas will respond to their circumstances, so I'm calling the Alamo Bowl a "no play". 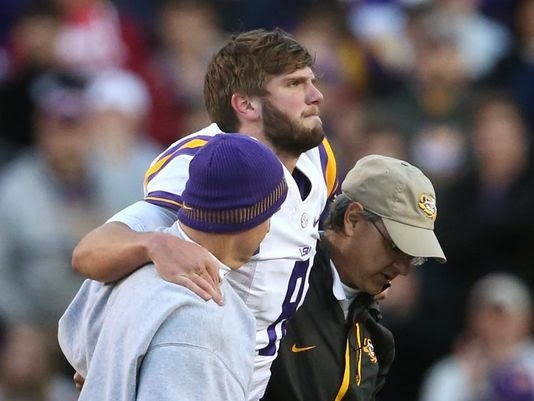 LSU senior QB, and NFL prospect Zach Mettenberger went down at the very end of the Tigers regular season finale against rival Arkansas. Anthony Jennings jumped right in to lead the Tigers to a last minute thrilling victory. LSU has talent all over the offensive field, particularly at skill positions. They'll face an Iowa team in the Outback Bowl that is physically overmatched. I expect Jennings to keep it steady and do just enough for the Tigers. Against the 8 points, I'd probably take Iowa, but probably a "no play" on this one. The Georgia Bulldogs lost the SEC's all time leading passer (yes, more than all Mannings, Tebows, Wuerffels) Aaron Murray to a knee injury late in the season. The Bulldogs overcame a slow start to defeat rival Georgia Tech with Hutson Mason at the helm throwing for nearly 300 yards and 2 TD. Now he faces an unsteady Nebraska defense that struggled to resemble the black shirts of years past. Much like the LSU Tigers, I see Georgia winning but would probably see Nebraska covering. Another "no play" here. The Texas Tech Red Raiders started off the season 7-0 and a Top 10 ranking with what seemed (at the time) to be impressive wins against West Virginia and TCU. Then they played the other five bowl teams from the Big 12 and lost all five all by a TD or more as West Virginia and TCU both scuffled to disappointing seasons. While their QB for most the season, walk-on freshman Baker Mayfield, is healthy, he's seeking a transfer after rotating a lot during their final stretch of losses and feeling out of place in Lubbock. There are two QBs in Kliff Kingsbury's stable, but it's not going to matter. Pac 12 South winner Arizona State will roll over the Red Raiders in the Holiday Bowl. Two touchdowns are not near enough, take the Sun Devils all the way to the bank! 3. Show me a QB with experience and I'll show you a winning QB. A long delay between the final regular season (or conference title) game and the bowl game can lead to rust, uneven play, or mental mistakes in the bowl game. These can steamroll quickly if not for on-field leadership to calm the tide. I like experience QBs, particularly those playing in their final college game, as something reliable to play on in the bowl season. 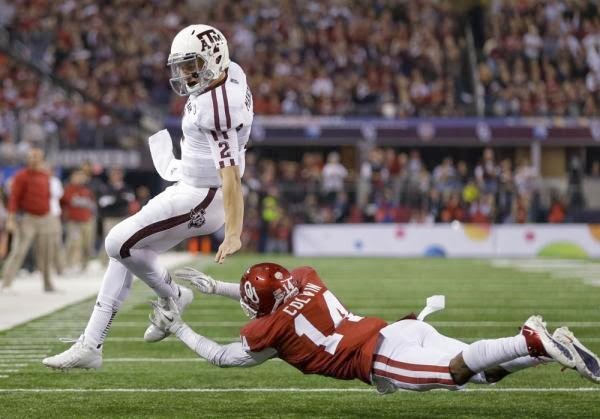 Look no further than seasoned veterans John Manziel, A.J. McCarron, and Jordan Lynch. John Manziel, a.k.a. Johnny Football, has only played two season but has a ton of experience. Two epic battles against Alabama, huge comeback wins, some injuries, yet no defense behind him. And, of course, a Heisman. Texas A&M has a more formidable opponent than most people realize in the Duke Blue Devils in the Chick Fil-A Bowl in Atlanta. Note that Duke has 10 wins and won the ACC Coastal Division. With coach David Cutcliffe at the helm, the Blue Devils will be innovative on offense and test the porous Aggies defense. But Manziel, with a month to heal from some bumps and bruises he had late in the season, should be able to answer. At a point spread of fewer than two TDs, I take the Aggies here, behind Manziel. The Chick Fil-A bowl is used to big crowds because of its geography near the ACC and SEC participants, it will be interesting to see if Duke travels for a bowl game, and if Texas A&M fans (a bit further than a Georgia or Auburn or South Carolina) storm Atlanta to see their QB play his final game (presuming he turns pro). A.J. McCarron has done just about nothing but win his entire career at Alabama as he currently sits at 36-3 as a starter. As the Heisman runner-up, he'll wrap up his career in the Sugar Bowl against the Oklahoma Sooners. A leader like he is just the guy to help the Tide rebound from their only loss of the season and easily Roll over the Sooners. As stated above, take Alabama and give the points. Northern Illinois could also qualify as a team disappointed in their bowl destination. Having dropped the MAC Championship Game, instead of getting the Big 12 Champion Baylor Bears in Glendale, they'll draw a tough Utah State squad in the Poinsettia Bowl in San Diego. The game is a near Pick'em, but I'm putting my faith in the Heisman finalist Lynch to put his team on his back and rebound from their only regular season loss. Take them straight up (near pick'em anyway). 4. My Conference is better than yours! 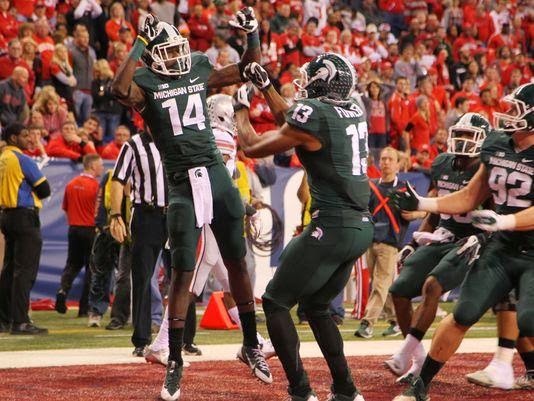 Pundits usually use the Bowl season as their litmus test for conference strength. It's not quite as easy as wins and losses, but you certianly want to know which conferences led to teams with records not indicative of a potential record in other conference. 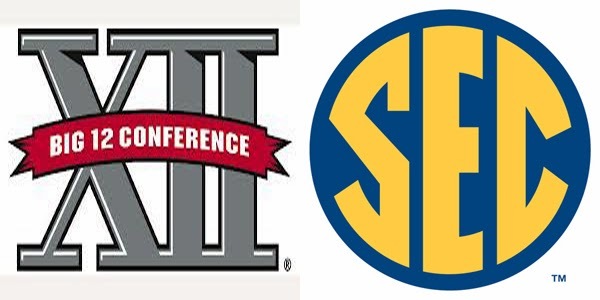 Here we look at the SEC, Big 12, and ACC and how they stack up. The Big 12 had a down year. Last year they had nine bowl teams (out of ten), this year only six, and a couple are suspect (I'm talking about you Texas Tech and Kansas State). TCU, West Virginia, and Iowa State took huge steps back. The conference has a very tough draw, with their champion Baylor facing the fifth best opponent (out of six) per the final BCS standings (UCF, #15). They also face #3 Alabama, #8 Missouri, #10 Oregon, and #14 Arizona State (unranked Michigan the other). All are double digit underdogs except Oklahoma State facing Missouri in the Cotton Bowl. The former Big 12 (and Big 8) rivals are familiar with each other and will be out to prove conference strength. At the end of the day, Oklahoma State didn't play as tough a schedule as Missouri and will likely get exposed. At a near pick'em, take the Missouri Tigers. The Big 12 has only won one Cotton Bowl against the SEC in the last nine contests, and that was no team other than Missouri. The SEC probably was a little weaker than expected (sky high expectations, but still). With Florida, Georgia, Ole Miss, Texas A&M, Mississippi State, and LSU not reaching preseason expectations. That, and the combined conference record of 2-22 for doormats Arkansas, Kentucky, and Tennessee and it wasn't as hard for teams like South Carolina and Missouri to emerge as the beasts of the East. An intriguing matchup is Vanderbilt Commodors vs. Houston Cougars in the BBVA Compass Bowl; how does a 4-4 Commodore team (SEC tested) without their starting QB match up with a 5-3 AAC opponent in Houston? Houston hung tough with teams like BYU, UCF, Cincinnati, and Louisville in close losses. They might have a surprise for Vandy, I'm picking the Cougars straight up (+120). The last time we saw the Cougars in postseason action they beat Penn State so they're not intimidated by higher profile foes. The ACC is finally looking like a conference worthy of the same conversation as the SEC, Big 12, Big 10, or Pac 12. Mostly considered the 5th out of those in the last decade (no title game appearances in forever and very few BCS wins). We'll get to the title game (and FSU) in a minute, I touched on expected Clemson success and Duke challenges above. Another bellwether game is Georgia Tech against Ole Miss in the Music City Bowl. Georgia Tech can't beat an SEC team to save their lives. Georgia Tech was 5-3 in the ACC, Ole Miss 3-5 in the SEC. Vegas calls it a 3 point favorite for Ole Miss. I think they handle Georgia Tech with ease, book this one for the Rebels and give the 3 points. 5. I recognize these people, they are my fans! Bowl games are always likely to try to pull a local team in to guarantee some ticket sales and keep up local interest. An example where this didn't happen was the Houston Bowl, featuring Minnesota and Syracuse (sellout unlikely). Where it did work well, was the Texas Longhorns playing within 100 miles of campus in San Antonio, the North Carolina Tar Heels playing in state at Charlotte, and Rutgers playing at Yankee Stadium in the Bronx, New York. Longhorn coaching career undefeated in SA? 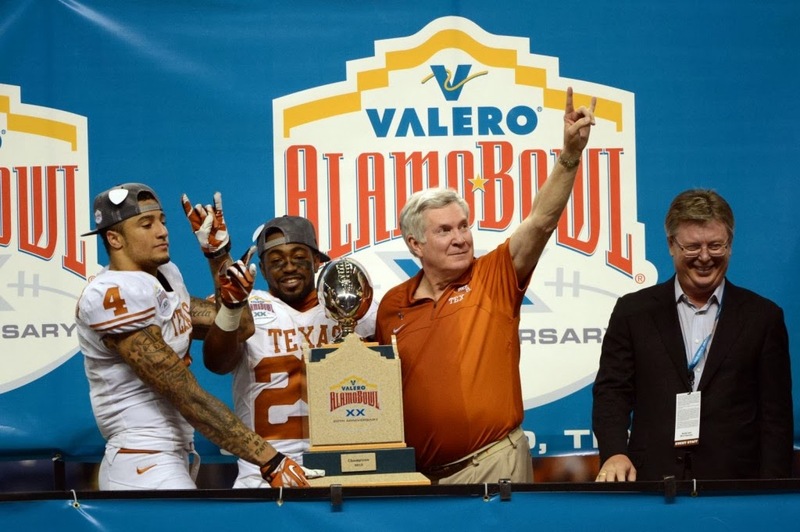 The Texas Longhorns play at the Alamo Bowl for the second straight year. For the third straight year, they come into their bowl game at 8-4 or 7-5. This is not their expected success, and as a result Mack Brown is stepping down after 16 seasons. As mentioned above, Oregon has a lot of motivation questions but way more talent than the Longhorns. At the end of the day, as mentioned above, there are too many non-football factors to play. But expect more orange on the River Walk than green. North Carolina is one of the hotter teams in college football. They went 5-1 after October 17 with just a narrow defeat to Coastal Division Champion (and arch rival) Duke Blue Devils. They'll face a Cincinnati Bearcats team in the Belk Bowl that is good, but not that great. Carolina scores a lot of points and is from a better conference and will win this one with ease. As mild 2 point favorites, give the points and chuckle that bettors are scared off by a 6-6 record (all losses were to bowl teams). Notre Dame could easily qualify as a team that could say "I thought we would go somewhere warm this winter, why are we in New York City?" But the Fighting Irish love big city games, like their upcoming matchup vs. Boston College at Fenway Park. Brian Kelly is a great motivator coach and will certainly have his team up. Across the field will be the Rutgers Scarlet Knights, just a short 50 miles and a tunnel drive from their Piscataway , NJ. Since Notre Dame has a national following (not to mention a strong Catholic population in greater New York) there isn't that much of a home field advantage. In fact, it might be more 50/50 by the time the dust settles. It's 2 TDs for a point spread, I take the superior talented Irish. My only concern is that Notre Dame frequently plays down to inferior opponents, but Rutgers really isn't that good. 6. Who is my coach? Part of the bowl season is the fact that some programs have coaches that have left their program, others fired theirs because the bowl they are in isn't enough. We've covered Texas enough, but Boise State, Washington, and Bowling Green have coaching shifts of this kind. Obviously Southern California falls in this category, but is playing their game as I write this. Boise State head coach Chris Petersen has moved on to coach Washington, (whose coach moved onto USC). They'll bring back former offensive coordinator Bryan Harsin (most recently head coach at Arkansas State) but in the meantime have a manageable draw in the Hawaii Bowl against Oregon State (who endured a season in which they had a very tough schedule and lost most games they were supposed to lose). Boise State is a system. It has had good coaches, but the system and program gets them by. I'm not sold on Oregon State, who hasn't won since October 19 in facing a gauntlet of Pac 12 powerhouses the second half of the season. Oddly, Oregon State is giving points here, probably because of their effort against the Oregon Ducks. Boise State loves playing bigger programs and will be focused, head coach or not. Take the Broncos straight up at +130. Washington Huskies are a good 8-4 team in a very good conference. Losses were to outstanding teams as they will face BYU in the Kraft Fight Hunger Bowl. As an Independent, BYU played a very solid schedule, including Notre Dame, Texas, Boise State, Wisconsin, and Georgia Tech (in all, eight bowl teams). 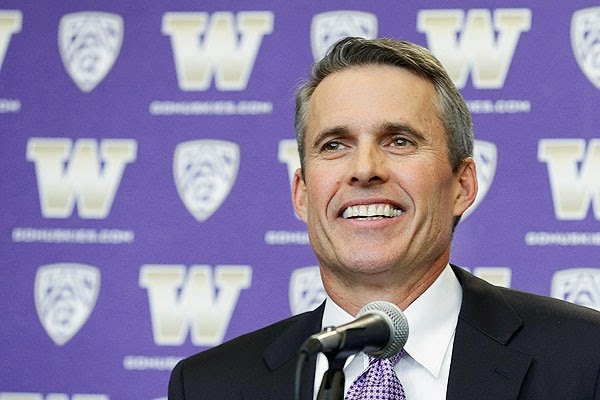 I feel like the Huskies aren't going to miss a beat without their coach and have a bright future with the Petersen hire. I'm taking the Huskies and giving the 3 to 3.5 points. Bowling Green changed the entire landscape of the BCS with their upset win over the Northern Illinois Huskies to win the MAC (Oklahoma Sooners give thanks). Their reward is a Little Caesar's Bowl matchup with ACC middling Pittsburgh Panthers. Poor Pitt, many will think. But then Bowling Green's head coach leaves for the ACC's Wake Forest and I'm not sure this team can win two straight big games. Pittsburgh played 9 bowl teams, including wins against Notre Dame and Duke. Their worst loss might be Navy, not bad. I think Pitt plays inspired against a so-so Bowling Green squad. At +175, I'm taking the Panthers straight up. So in all of the above, we didn't touch on the BCS Championship Game. It turns out that teams that make the title game do not have coaching or QB issues, are playing in the exact bowl they want to be playing in, and in this case, nowhere near home. Certainly conference strength and matchup has to be factored, but Florida State ran roughshod through the weaker ACC (closest game was 14 points) with barely a challenge while Auburn played a number of close games throughout the year plus lost one game by 14 points against a decent, but not outstanding LSU. Both teams score a ton of points, it's Florida State's game to lose. 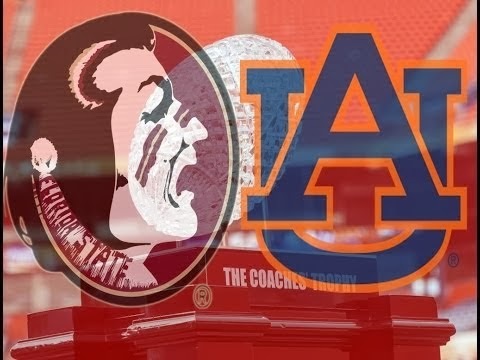 The recipe for Auburn to win is to get up early on Florida State (since they're not used to coming back, Auburn is). Or get in a 4th quarter shootout, Auburn will believe it can win, Florida State and their freshman QB (albeit a Heisman winner Jameis Winston) might falter. Plus the SEC consecutive title streak, there is something to it. But I see FSU jumping out ahead and their defense is better than advertised. Florida State 41, Auburn 28. Give the points and take the Noles. Here's wishing all college football fans a fun and relaxing bowl season!